GRI 403: Organizational Health and Safety and GRI 303: Water and Effluents have been updated to set best practice for reporting on these issues. Both occupational health and safety and water stewardship remain a global priority for sustainable development. The updated GRI Standards reflect the urgency of the new ways of understanding and addressing issues such as harm to workers, or freshwater as an increasingly scarce resource. The revision of GRI 403: Occupational Health and Safety 2016 has been completed. Please download the revised GRI 403: Occupational Health and Safety 2018 Standard here. GRI 403: Occupational Health and Safety 2018 will be effective for reports or other materials published on or after 1 January 2021. Earlier adoption is encouraged. The revision of GRI 303: Water 2016 has been completed. Please download the revised GRI 303: Water and Effluents 2018 Standard here. GRI 303: Water and Effluents 2018 will be effective for reports or other materials published on or after 1 January 2021. Earlier adoption is encouraged. On Sunday 1 July 2018 the G4 Guidelines will become obsolete. Already in 2016, GRI encouraged the early adoption of the GRI Standards in reporting. And the final date for phasing out the guidelines has come due. The Standards will be required for all reports or other materials that reference the GRI framework and which are published on or after 1 July 2018. After the deadline, GRI is unable to provide further support for reports that continue to use the G4 guidelines. The Global Child Forum and GRI join forces to strengthen corporate transparency and accountability on children’s rights issues. ​ On 11 April 2018, GRI and the Global Child Forum announced a new collaboration through a Letter of Intent at the Royal Palace in Stockholm, at the 10th Global Child Forum. 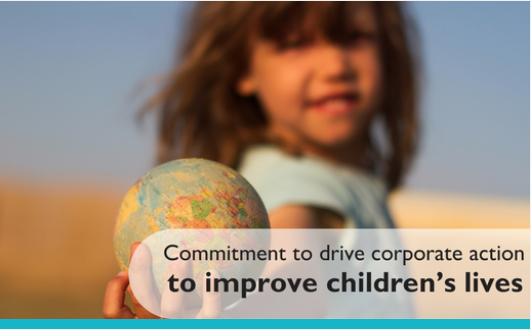 This alignment will combine the best of the two organizations and drive corporate action to improve the lives of children. The Global Child Forum is an independent multi-stakeholder platform for informed dialogue on how the UN Children’s Rights Convention and other key instruments can be fulfilled, respected and promoted by every actor in society. Global Child Forum is a knowledge and high-level engagement hub, and uses a transparency and accountability approach, with a key role for sustainability reporting within its research and tools. These include the knowledge center, benchmark research and reports, and the Children's Rights and Business Atlas, an online corporate due diligence tool developed in partnership with UNICEF. GRI provides the global standards for sustainability reporting, which includes the important dimension of children’s rights. GRI’s reporting framework is the world’s most widely used: thousands of companies – large and small – in more than one hundred countries use GRI’s standards to disclose their impacts on the environment and society. In addition to the ongoing practical cooperation, the partnership highlights the joint passion and vision of a thriving global community that respects and advances children’s rights. In this vision, a special focus is cast on improving the rights and lives of children by catalyzing business actions and transparency. 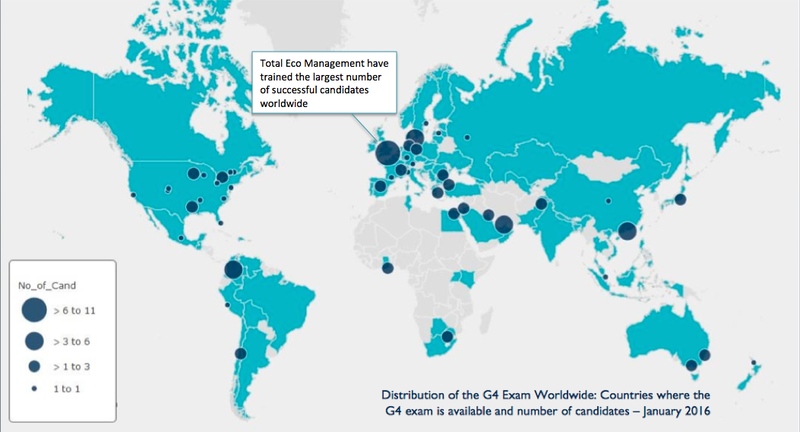 The G4 Exam was launched in February 2015 and allows sustainability professionals to demonstrate their knowledge of the G4 Guidelines and the GRI Reporting Process, enhancing their credibility and reputation in the sustainability field. The GRI G4 Exam tests candidates on their knowledge of the content of the G4 Guidelines, as well as the five phases of the GRI Reporting process. The Exam is implemented in collaboration with Prometric, and candidates can take the Exam in over 500 test centers located in 82 countries. Since the launch of the G4 Exam in February 2015, 123 participants from 36 different countries worldwide have taken the G4 Exam. 89% of the candidates have passed the exam with an average score of 85% of correct answers, where the minimum score to pass is 75%. We are delighted to see that our UK training have produced the highest number of successful candidates. The concept of developing meaningful, effective and engaging sustainability reports has started to weigh anchor in the business sphere, evolving from a swept-aside entrée to the meaty bulk of fundamental corporate social responsibility. With a host of stock exchanges and even some governments now refusing to acknowledge a business and its assets as a credible company without evidence of a sustainability report, more and more companies are flocking to release annual updates on their social responsibility progress. For Kye Gbangbola, founder of Total Eco Management – an award-winning sustainability training service – companies venturing into the realm of sustainability reporting are driven by three overlapping motives: legislation demanding it, visionary leaders implementing it, or a near miss with climate or CSR-related disaster. Kye specialises in supporting and advising the private and other sectors with their sustainability and reporting responsibilities. He is the author of ‘How to Produce a Sustainability Report', published by DoShort. Kye has watched as the private sector landscape has shifted sustainability reporting and CSR from a ‘would like to do’ to a ‘must do’. But arriving at the foot of what can be a mountainous task can be daunting for starters. With that in mind, here are Kye Gbangbola’s 10 top tips for writing a succesful sustainability report. Kye is a firm believer that companies lend themselves to sustainability reports for a variety of reasons. While these reasons can overlap, once you've gained an understanding of why you need to publish this report, you can begin to tailor your company's actions for the desired effect. "In the past, when you looked at a business, 80% of its dealings were to do with finances and those were the ways that investors acted around each other," Kye says. "But with increased legislation and then need to tailor companies so they can exist in the future, investors expect people to a have a greater knowledge of wider values. "No matter what angle you approach this at, sustainability reporting is a must do, otherwise you no longer have a credible proposition for your products and services." If a company is recovering from a climate-related mishap, for example, then a sustainability report could be the perfect catalyst for a phoenix-from-the-ashes redemption. Tailoring to the report to certain legislation also gives the company credibility in the stocks, while adopting reporting as a mantra gives your company a new moral compass. Kye notes that those creating a report simply because legislation demands it can often get caught in the crosshair of why they are even writing it in the first place. And this can create confusion about th development, structure and key themes of the report. Having an understanding of where a company fits in with society and the environment makes it a lot easier to see the bottom-line benefits, Kye says. “Some organisations understand that there is no conflict between profit and responding better to society,” Kye says. In a morally-conscious world more people – especially millennials – want companies to reflect their beliefs, with sustainability at the heart of these beliefs. 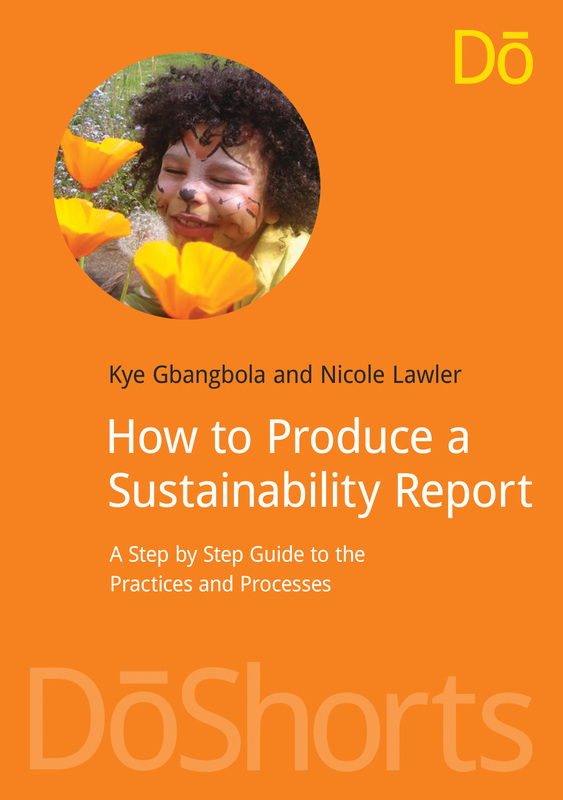 We’re all familiar with downfall of the hare and the fable that ‘slow and steady wins the race’, but when it comes to sustainability reporting, Kye believes that getting started early can have huge benefits for companies. While companies obviously need to have the ground work ready, getting ahead of the sector and standing out from the crowd will draw stakeholders and consumers to you. Sustainability reports come fitted with guidelines that need to be followed in order to cover the necessities. Kye is a certified 'GRI G4' trainer - one of the most popular framework guidelines. Over the years, he has seen too many companies get trapped in the guidelines webs, "trying to tell the story they think others want to hear, rather than the story they have". By viewing your report as a journey rather than an actual report, Kye feels that it becomes much easier to create a structure that highlights what the company has done and is doing, and streamlines the reporting process. As mentioned earlier, companies can be driven to sustainability reporting as a result of a disaster or mistake. While some will want to brush these incidents under the rug, Kye believes that displaying what has happened in an honest fashion actually increases the credibility of the report. “Some companies may not be hitting the targets they should be hitting. Report writing is about balance, it’s an essential principle. It’s about saying the good and the bad, because it gives the report credibility. Missed targets or bad press will end up in the public one way or another, but a sustainability report gives companies the chance to turn disappointment into opportunities. You wouldn’t run a marathon before you can walk, or try bay parking before you’ve mastered the clutch. 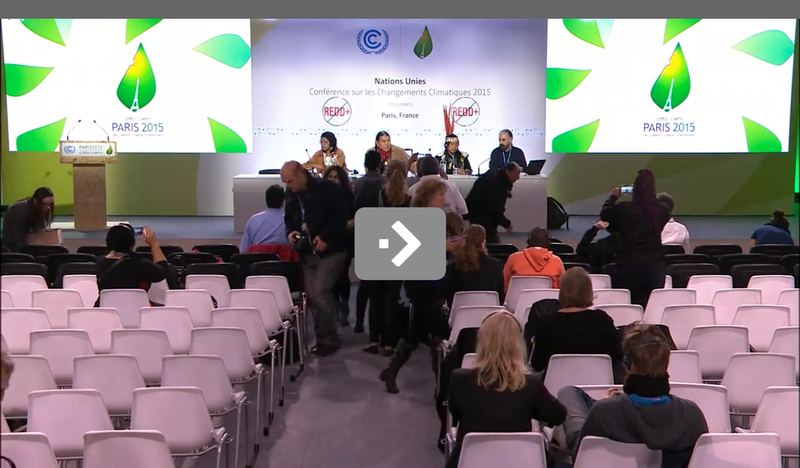 So companies going into these reports shouldn’t do so believing they alone can rid the world of climate change. The targets in reports need the right blend of ambition and achievability. Not only does his drive companies towards sustainable goals, it also creates extra emotional drivers that can add strength to a report. While getting ahead of chasing pack can be key in business, doing so without a complete understanding of where you’re actually heading can turn a sustainability report into a time-consuming vacuum. Kye says: “Understand what the journey will entail so that you don’t end up being in a situation where you’ve over packed. Just bring what you need for this journey otherwise it will bring you to your knees. As for all means in life, if you fail to prepare for this report, then you can prepare for the report to fail. Kye notes that a lot of companies still view sustainability reports as publications that can be worked on in small teams in the background. While it may be possible for a few members of staff to produce a report, getting backing and interest from board members and stakeholders on key sustainability issues can make the entire reporting process much more streamlined. “Engaging with internal stakeholders is the best way to prioritise what should be reported. Without them the report becomes a heavy burden and can place undue pressure on the reporting team,” Kye says. It's no surprise that companies with visionary leaders such as Unilever constantly deliver in regards to reporting - all the strings are pulled by people who truly believe in what they are preaching. Similar to having realistic targets in place, it is also important to have a realistic idea of what the end result of your sustainability report will be. By understanding that the report will take time and may not reflect on where your company wants to be right now, those building the report won't become disillusioned with the process. 10) Don’t go in blind, and enjoy the journey! Kye has built his carrier around helping others with their reports, so it’s only natural that seeking guidance would be a key piece of advice. “Imagine going to a foreign place, its handy to have a guide,” he says. “There are people out there who know about the reporting sphere who can ask the questions that may not be necessarily clear to ask to enhance the report. The fifth annual edie Sustainability Reporting Conference takes place on 23 February 2016 at the Inmarsat Conference Centre in London. At the event, Kye Gbangbola will lead a session dedicated to 'Sustainability reporting guidelines – learning from the best'. Read the first part of this series here. GRI has upgraded its Sustainability Disclosure Database. 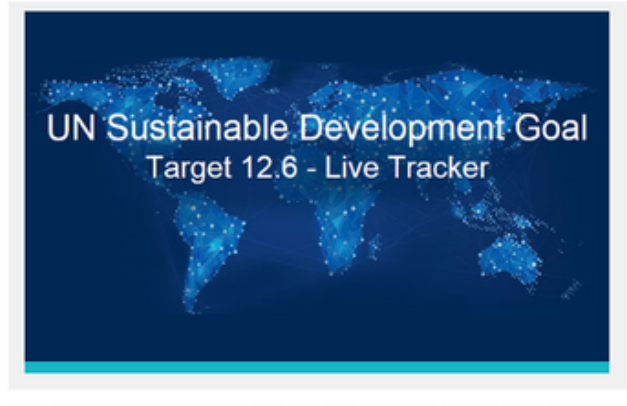 The UN Sustainable Development Goal Target 12.6 – Live Tracker, provides information that governments and other corporate stakeholders can use to understand how the uptake of sustainability reporting is progressing around the world. The Target 12.6 – Live Tracker can be found now on GRI’s Sustainability Disclosure Database. Page Content ​UN Sustainable Development Goal (SDG) Target 12.6 lays out a global ambition for governments to develop initiatives that stimulate businesses to report on their sustainability impacts. Specifically, Target 12.6 calls upon UN Members States to “encourage companies, especially large and transnational companies, to adopt sustainable practices and to integrate sustainability information into their reporting cycle.” As a result, over the next 15 years, the UN and all UN Member States are tasked with not only cultivating a business climate in which more companies report on their contributions to the SDGs, but they should also monitor and track these efforts. GRI developed the SDG Target 12.6 – Live Tracker, in collaboration with Tata Consultancy Services, to assist governments in monitoring and tracking progress. Tata Consultancy Services (TCS), one of the leading Global IT Services companies, is at the forefront of developing technology solutions that enhance effectiveness of sustainability interventions, and improve Monitoring and Evaluation, thereby enabling better decision making. GRI supports decision makers who are committed to achieving the SDGs. GRI’s work in this area is focused on the sustainability reporting process, the value of the information that comes from it and getting this data into the right hands. By helping companies report their contributions to the SDGs, GRI facilitates the creation of data, which governments can use to track progress toward the SDGs and inform better decision making.